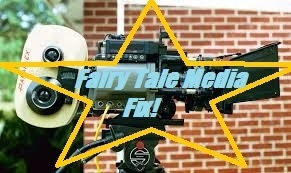 Fairy Tale Fandom: Fairy Tale Media Fix: Fairy Musketeer Akazukin. But somewhere in the "May" section of the book, *this* story showed up. I can only imagine that somehow, someday, somwhre one of the book's editors had a *really* bad that, because I can't understand how someone would have come up with the idea to put Frau Trude right there in the middle of the book, without ill intent. It doesn't evven have anything to do with animals! (Maybe you've read "The Hundred Year Old Man Who Climbed Out the Window and Disappeared" and recall the bible anecdote... I imagine something similar happened with this book) Atleast the illustrator was wise enough not to illustrate the tale. Needless to say, I always felt kinda paranoid when one of my family members reached for the book in the month of May. On a more relevant note: The green, red and black manmentioned in Frau Trude correspond to the white, red and black knight that accompany Baba Yaga in Vasylia, The Beautiful", which means the two chracters most likely have the same origin. Yeah. Sometimes it's hard to find foreign shows and movies. It's especially hard if you have to stick with completely legal sources, which is what I try to do. 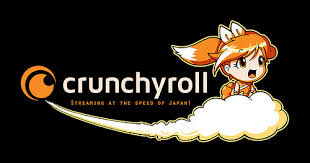 It's kind of incredible, as you point out, that it took the US so long to feature magical girls. X Men has always been hands down my favorite comic/movie franchise, and I always thought it was because of the ensemble aspect/how they can creatively combine their powers and that always keeps it fresh, but it's probably because the girls are fighting alongside the guys, not just being kidnapped by the villain and held as ransom because they are the hero's one weakness! Thanks for sharing this series, it looks like fun. I think you mean "Amethyst, Princess of Gemworld", unless they gave it a different name in Germany. There are some other magical girl type characters in the world of American animation, but most that I think of are from the realm of the syndicated Sunday/weekday morning cartoons that I used to see as a kid in the '90s. There was Sky Dancer. There was Princess Tenko and the Guardians of the Magic (based on a real Japanese stage magician). I even recall a show called Princess Guinevere and the Gem Riders or something like that. However, none of them created any real pop culture waves. She-Ra made some. Sailor Moon made more. Heck, Marissa Meyer of Lunar Chronicles fame is a Sailor Moon fan. But Sailor Moon is a Japanese import.